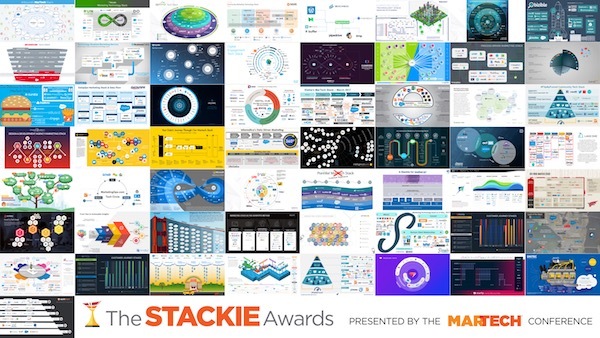 The Stackies 2018: Marketing Tech Stack Awards are open for entries! Register for MarTech in Boston today! The Stackies 2018: Marketing Tech Stack Awards are now open for entries, and we’d love to have you participate. If you haven’t heard of The Stackies before, this is — in my, um, humble opinion — the coolest awards program in marketing. What makes it so cool is that this isn’t a vanity award, but an educational program: everyone in the marketing community gets to benefit from all of the entries. You might illustrate your stack as a value chain, a technical architecture, a customer journey map, a process flow diagram, a market strategy, a capabilities matrix — or your own original view on how marketing technology is orchestrated in your organization. You can annotate the slide with as much explanatory text as you find helpful, but its strength should be in its visual presentation. Check out the winners from The 2017 Stackies and The 2016 Stackies for some inspiration. Over 100 marketing stacks have been shared through The Stackies over the past 3 years — including from leading companies such as Microsoft and Cisco — all of which have been publicly shared so we can learn from them. Why take the time to create a marketing stack slide? Creating a marketing stack slide isn’t just a way to show off which technologies you use. It’s actually a very useful exercise to go through — even if you don’t decide to enter your slide in The Stackies. 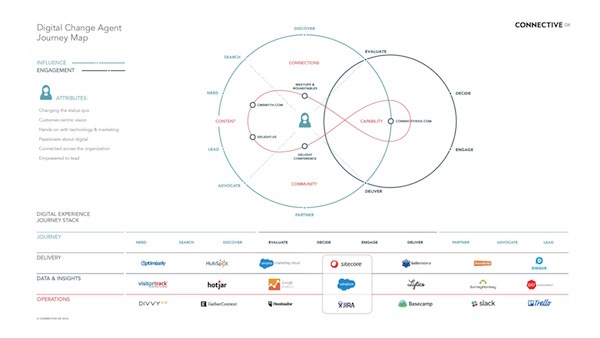 To visualize your marketing stack, you first have to identify all of the different marketing technology tools that you’re using across your organization. Most people are surprised when they really start digging, to discover just how many there are. Going through this process can be a good way to start living up to your New Year’s resolution to “rationalize” your martech stack. The next step, deciding how to visualize your stack, is a chance to step back and think strategically about all these different tools. What is their purpose? What are the customer touchpoints they influence? How do you orchestrate their operation? Who is the “lead” for each? Now illustrate those ideas to express the marketing whole that is greater than the sum its technology parts. 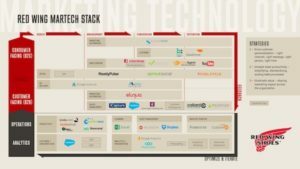 Finally, once you have your marketing stack slide, it becomes a useful device for communicating your marketing technology infrastructure and capabilities to others across your company. It’s a great way to make sure everyone on the marketing team knows what’s available to them and how the pieces connect together. It’s helpful for coordinating with stakeholders in sales, IT, and customer service. It’s a terrific way to help guide conversations with executives to explain your marketing technology investments. Even if you don’t decide to publicly share your stack by entering in The Stackies, I assure you that you will get tremendous value from having gone through the process to create it. That being said, I really do hope you will decide to share your stack in The Stackies. It’s because so many other companies have shared their stacks that we’ve been learning so much about marketing technology management from each other. And if hyper-competitive companies like Microsoft and Cisco are willing to contribute to the martech community, aren’t you? But we’ll give you another reason to contribute your stack to The Stackies. 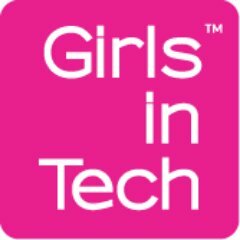 For every real entry (not spam) into The Stackies 2018: Marketing Tech Stack Awards, the MarTech® Conference will donate $100 to Girls in Tech, up to a grand total of $10,000. There is no entry fee for The Stackies. Instead, we make a $100 contribution on your behalf. If we hit our goal of 100 submitted marketing stacks, that will mean a $10,000 check to Girls in Tech — plus a really awesome deck of marketing tech slides that will be publicly shared for everyone to learn from. There will also be a ceremony on the opening night of MarTech to celebrate everyone who participated — and award trophies to the five best entries. What will make the “best” stacks? A note about “detail.” We prefer that entries in The Stackies include the specific products that are being used. This isn’t for the sake of endorsing vendors — although I’m sure they will all appreciate it! — but to help us collectively see examples of where specific products fit out in the wild. However, this is not a requirement. If you don’t wish to disclose a particular vendor, simply put a generic placeholder label for that product in your stack (e.g., “Data Management Platform”). An entry in The Stackies that has anonymous product placeholders can still win. But if you are willing to name names, we’d greatly appreciate it, as it does make these marketing stack visualizations considerably more tangible. Create a single 16:9 slide that visually represents the way you think about your marketing stack, as described above. Submit your stack here as a 1600×900 pixel JPG, GIF, or PNG image or a 16:9 PDF file any time before midnight Friday, April 6 (Pacific time). By entering, you grant us permission to publicly share your entry. We look forward to celebrating your entry into The Stackies 2018: Marketing Tech Stack Awards at MarTech in San Jose this spring. Thank you and good luck! Who will you meet at MarTech? See all the dates and locations.